In my last post, I talked about how to use Google Hangouts on Air to teach live language lessons to an unlimited amount of people. Since then, I have received a lot of questions from people in my community about what platform is best to use when teaching one-to-one or small group lessons. Most people start using Skype, and when I first started, this was the only real platform that was available. But, over the past few years many more platforms have been introduced, and recently I’ve been using Google Hangouts, Zoom, and WizIQ. In this post I’m going to go through the four options and discuss the advantages and disadvantages of each. Let’s start with the most popular: Skype. Skype is the most used option when it comes to facilitating one-to-one lessons, and is actually the main advantage of using Skype as most of your potential students will either have it or will have heard of it. There are two versions: free and premium. – Call anyone who as a Skype account. – Send instant and video messages. – Take part in group calls (only using two webcams). To get group video calls and screen sharing you will need to upgrade to the premium service ($9.99 per month). I’ve been using Skype for years now, and it’s only been the last couple of months that it’s started to freeze, crash, and have other problems. I still use it for my long-term students, but I’m starting to teach new students on other platforms due to the technical problems, and also because it is a little limited. The quality of the calls is good on the whole, and from experience, it compares with Google Hangouts. I feel the main reason to use Skype is because it’s the most used application out of the three, and many teachers have actually built their brand around it. Another advantage when using Skype is that it saves all your text chats; this gives you the ability to look at what you have done with students in the past, and also helps you when you’re trying to figure out who an old contact is. However, to be able to share your screen you have to pay for the premium service. In addition, Skype doesn’t have the features that the other three have, and is pretty basic in this department; for example, to record the lessons you will need to use third party software. Not to be confused with Google Hangouts on Air, Google Hangouts is similar to Skype, but is much more fun to use, has no premium version, and has many more features. – Call anyone with a Google account. – Use your webcam for video calls. – Chat using the chat box. – Use a whiteboard (through an application called Cacoo). There are also different apps that you can install and use, with new ones being created all the time. To start a Google Hangout you need to have a Google Plus account and you have to download the app before getting started. What I like about Google Hangouts is that there is so much that you do for free, and I imagine that they are going to add more features all the time. The effects at the moment are just a bit of fun, but I hope they add the ability to upload your own backgrounds; this would make role-playing much more effective and engaging (by using backgrounds so that you can practice ordering from cafes, buying tickets, business meetings etc.). Google Hangouts doesn’t save the chats from the hangouts (at least, I can’t find this option anywhere; they do save the chats that take place outside of the video hangout though). One way to get around this is to do what my friend Beatriz over at www.nativespanishteacher.com does. She creates a Google document for each student and then opens this during the lesson. She makes notes and the student has the opportunity to add to the document too. It’s like live chatting but within a document, and the chats are automatically saved. Having to be on Google + to use Hangouts may put some off, but the platform is becoming much more important in the social media market, and I predict this trend to continue. Click here to find out more about Google Hangouts. I learned about Zoom from the guys over at Turks Learn English, and they use this platform for their group lessons. The biggest reason to use Zoom is due to the brilliant connection it offers. I’ve used this for some of my one-to-one and group lessons, and the connection has been much better for me than the connection offered by Skype and Google Hangouts. – Host HD video and audio lessons. – Host group lessons (40 minute max). – Embed videos (and play the audio from the video). – Have private and group chats. – Schedule and have recurring lessons. – Kick people out of the meeting (great for lessons with children!). To get unlimited time for the group lessons (and to get some other features) it costs $9.99 per month. It’s easy to sign up through Google or Facebook, and the application is very small in size and very fast. 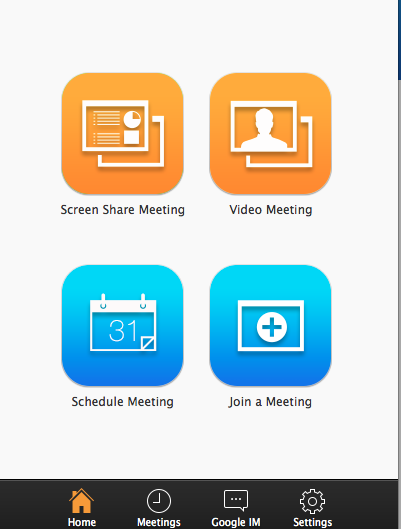 When you arrange meetings you have the option to make them recurring, and it automatically adds the meetings you arrange to your online calendar of choice. I love Zoom because of the connection; I haven’t had any problems with delay, echoes, or the other annoying audio problems that you sometimes get with Skype and Google Hangouts. In addition, the free version is great and will give most people everything they need. 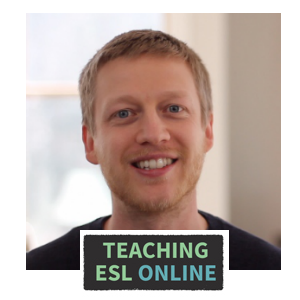 I’m currently in the middle of teaching my first course on WizIQ, and I gave a couple of lessons as part of the ELT Techniques Course hosted by Jason R Levine in December. So far, I’ve been really impressed with this platform, especially when it comes to facilitating large groups. 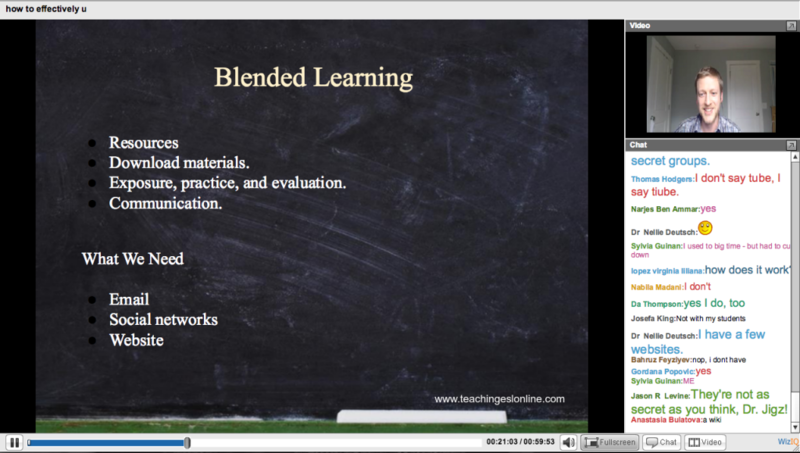 – Upload course content (PDFs, videos, power point slides, spreadsheets) so that only those in the course can access them. – Give live lessons that are automatically recorded, and can be download. – Give assignments within the course; your students can submit them, and then you can give feedback privately. – Set multiple choice tests. The live lessons that I’ve been giving have been in the format of presentations, but you can have up to 6 webcams in one lesson, and also create breakout rooms (where, for example, you pair off your students and they can talk with each other privately during the live class). In the main area you can share your screen, upload presentations, videos etc., or use the whiteboard. On the right you can see the live chat with my face above that. Another feature that I like is the ability to create and publish polls during the class. The plans start at $19 per month, and this presents great value if you are teaching large groups and/or you have a good schedule of smaller groups and one-to-one lessons. 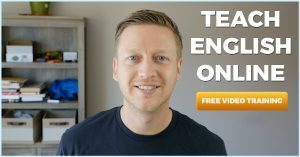 I can’t comment too much on the connection because I haven’t used it for video conferencing, but it has worked seamlessly for the presentation style course that I’m currently offering. If you’re just starting out and mainly teaching one-to-one, I would recommend going with one the free options. 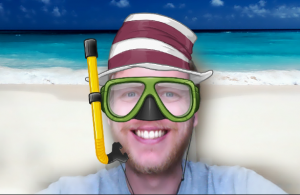 Most people turn to Skype first, but I think that Zoom and Google Hangouts have the best features, and in Zoom’s case, a much better connection. However, Skype does have the advantage of being the biggest name out of the fours options. 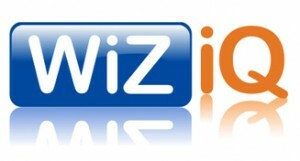 WizIQ is a great option for those who are at the stage where paying the $19 a month for extra features is good value, and especially if you have large groups. My best advice is to try out the different options, choose one, and then start teaching. 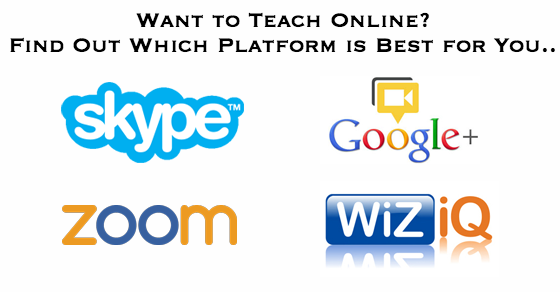 You can always change platforms, and even teach using a combination of two or more. Let me know which platform you prefer, whether I’ve missed anything, and if there are other options out there. Leave your comments below. Hello, I'm Jack. I'm an online teacher, web designer, and the owner of this blog. Click here to find out more about me. 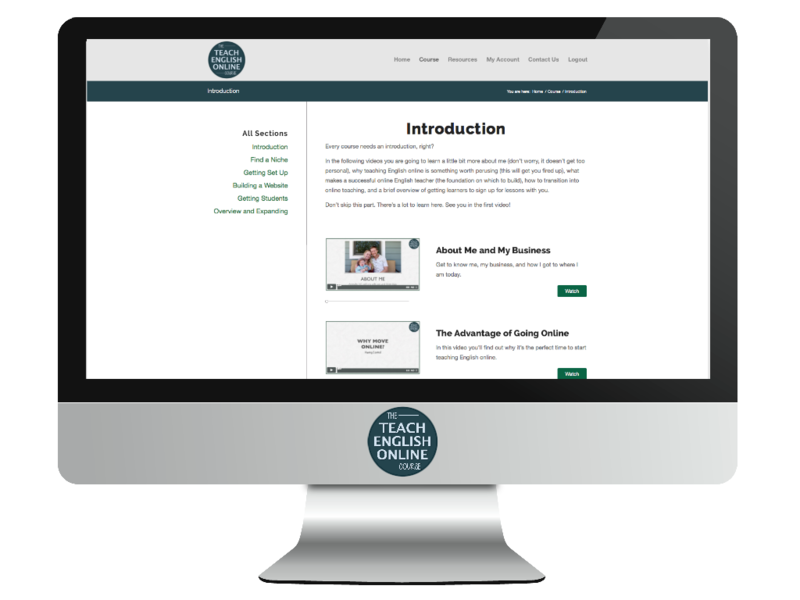 If you're serious about teaching online, then check out TEOC. LeadPages Sites Review: Is this New Website Builder a Game Changer?